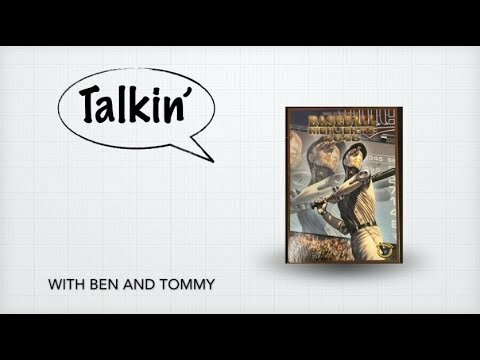 Baseball Highlights: 2045 társasjáték - Magyarország társasjáték keresője! A társasjáték érték! 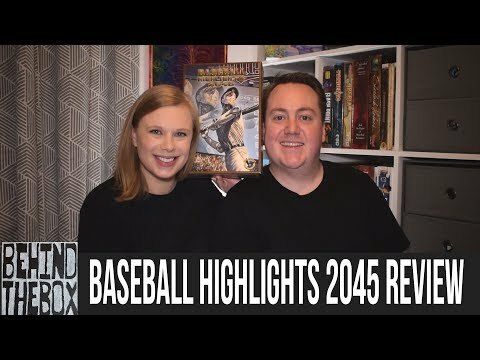 A Baseball Highlights: 2045 egy könnyen tanulható társasjáték, 1 - 4 játékos részére, az átlagos játékidő rövidebb, csak 45 perc. A játék több, összesen 4 jelölést kapott 2015-ben. A társast, a könnyebb tanulhatósága ellenére, csak 9 éves kortól ajánljuk kipróbálni. A játékmenet erősen épít a pakli tervezés, a kártya húzás, a pakli építés és a vedd el mechanizmusokra. 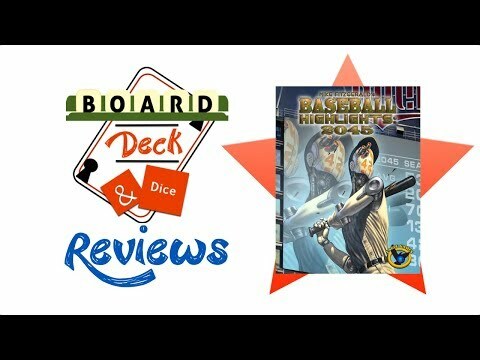 Baseball Highlights 2045 - A Dicey Walkthrough! 15 new cards for the Free Agent Deck. This deck features several new Immediate Actions including Pinch Runner, Hit & Run, and Sinkerball. 15 new cards for the Free Agent Deck. 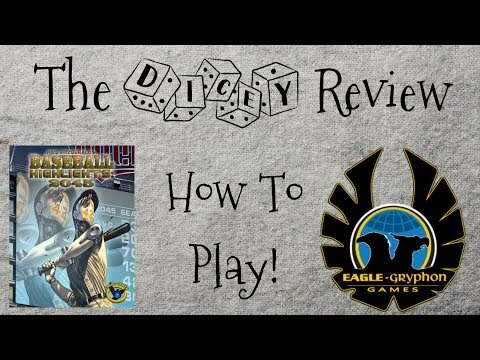 This deck features several new Immediate Actions including Error, Wild Pitch, Contact and Bean Ball. Game description from the publisher: 10 new Robot cards for the Free Agent Deck introducing two new Immediate Actions: Cloning and Gambler. 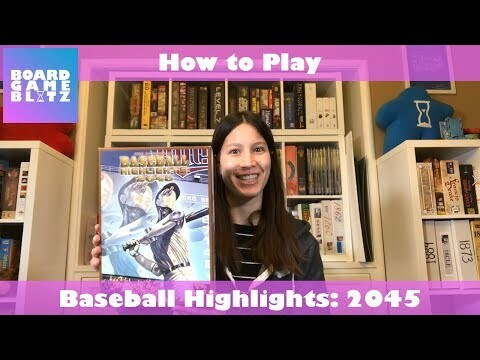 Game description from the publisher: 10 new Natural cards for the Free Agent Deck in Baseball Highlights 2045, featuring the Magna Glove and Teamwork Actions. 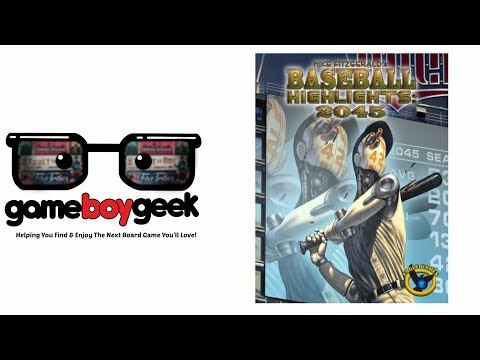 Game description from the publisher: 10 new Cyborg cards for the Free Agent Deck introducing 1 new pitch and new versions of some of the pitches in the base set. 15 new cards for Baseball Highlights: 2045: Starter Team 11 Cincinnati (V3) - Veteran Mix 3. 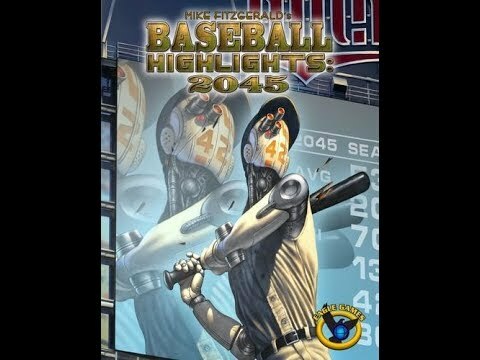 15 new cards for Baseball Highlights: 2045: Starter Team 12 Detroit (V4) - Veteran Mix 4. 15 new cards for Baseball Highlights: 2045: Starter Team 13 Kansas City (V5) - Veteran Mix 5. 15 new cards for Baseball Highlights: 2045: Starter Team 14 Philadelphia (V6) - Veteran Mix 6. 15 new cards for Baseball Highlights: 2045: Starter Team 15 Pittsburgh (V7) - Veteran Mix 7. 15 new cards for Baseball Highlights: 2045: Starter Team 16 Texas (V8) - Veteran Mix 8. 15 new cards for Baseball Highlights: 2045: Starter Team 5 Chicago (V5) - Veteran Mix 5. 15 new cards for Baseball Highlights: 2045: Starter Team 7 Florida (V7) - Veteran Mix 7. 15 new cards for Baseball Highlights: 2045: Starter Team 8 Milwaukee (V8) - Veteran Mix 8. 15 new cards for Baseball Highlights: 2045: Starter Team 17 Canada (V9) - Veteran Mix. 15 new cards for Baseball Highlights: 2045: Starter Team 18 United Kingdom (V10) - Veteran Mix 10. 15 new cards for Baseball Highlights: 2045: Starter Team 19 Caribbean Basin (V11) - Veteran Mix 11. 15 new cards for Baseball Highlights: 2045: Starter Team 20 Pan Asia (V12) - Veteran Mix 12.